Greetings from beautiful North Georgia. It is with great pleasure that we introduce our 2019 Camp Program Guide! We are so excited about the opportunity for your child to attend camp with us. Woodlands has a tradition of being an UNFORGETTABLE experience for kids. With an action-packed week or weekend filled with endless activities and non-stop excitement, it's no wonder why our campers come back year after year. Camp is often one of the most significant, life-changing experiences in a kid's life. It is a place of renewal, refueling and refocus. Today's generation is inundated with the noise of culture. However, at Woodlands, our desire is to create an environment where God's presence is so significant that the distractions of the world and its influences are removed, even if for a few days. And when that happens combined with God's powerful Word being read, memorized, taught, modeled and preached... life change takes place! Our summer staff members are the people that make it all happen. 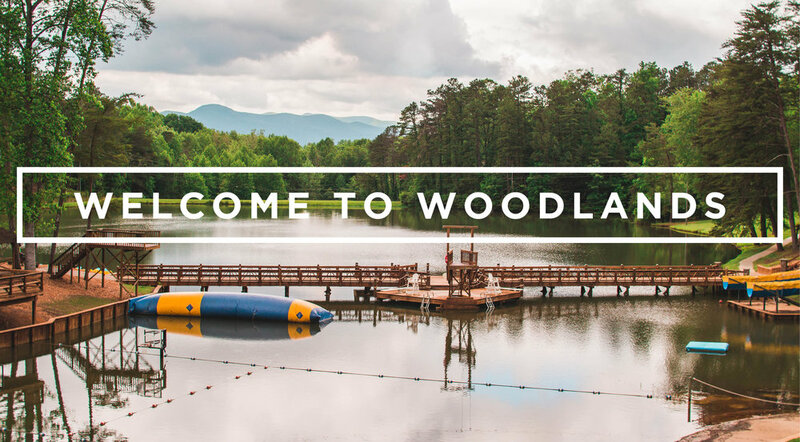 We are currently in the process of interviewing and selecting over 100 young men and women who possess the level of maturity and responsibility, heart for God and love for kids that will qualify them to be a part of Woodlands' team. Each staff member is carefully and prayerfully selected to ensure that only the best are hired to work at Woodlands. Health and safety are major priorities at Woodlands. Your kids become our kids, so we are very committed to providing a safe and caring environment for all campers. To avoid disappointment, please do not delay in registering. Space is limited and weeks fill very quickly. You may register online at woodlandscamp.org on February 23, 2019. To ensure that you are prepared to register, please read our online registration checklist in advance. So whether your son or daughter is coming here to camp for the first time or returning as a veteran, they are in for the most incredible, phenomenal, life-changing, unforgettable week of their life!